With new iPhone hardware just around the corner, this is the time of the year when everyone who follows the world of Apple’s mobile handset gets to create a mental wishlist of new features they’d like to see when Tim Cook walks onto stage on September 9. This year’s upcoming announcement has already been met in the press with a litany of expected improvements, from larger screens to all kinds of environmental sensors. 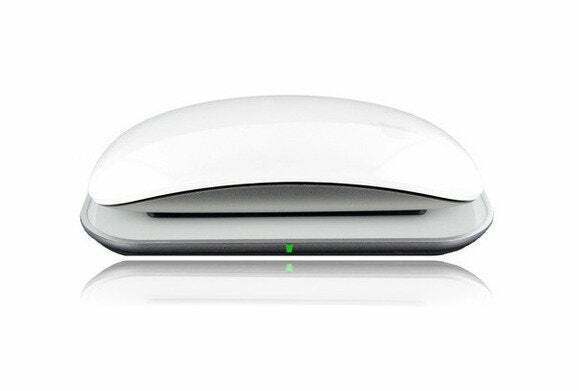 But there is one particular feature that has been topping my wishlist for several years now: wireless charging. Thanks to the nature of my job, my family owns a higher-than-average number of mobile devices: All four of us use some kind of iPad (some of which we’ve handed down to the kids), and both my wife and I have our own iPhones. As you can imagine, this makes USB ports a precious commodity in the Tabini household. A few years ago, I presciently installed power outlets with built-in USB chargers, but despite that tussles over who exactly unplugged whose device are a frequent occurrence. To make matters worse, cables tend to break at an alarming pace—and Lightning cables, in particular, seem to be far less robust than their 30-pin predecessors. Despite buying a few extras, both directly from Apple and from third-party vendors like Monoprice, the connectors continue to fail every few months—typically while I’m on a business trip. 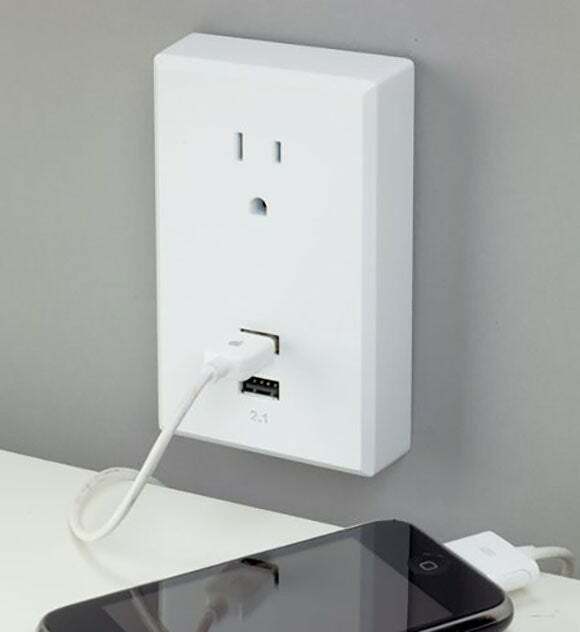 Power outlets with built-in USB chargers, such as this one from RCA, keep the Tabini household from collapsing into anarchy—but only barely. Up until three years ago, cables were a fact of life for all iOS users: without one and a copy of iTunes, you could not activate, synchronize, or backup your device. With recent versions of iOS—and, particularly, with the launch of iCloud—all these operations can now be performed over the air, which means that the cable’s only essential purpose (at least for most users these days) is to provide a way to charge your device’s battery. This, in turn, makes me wonder whether it might finally be time for Apple to eliminate the need for cables altogether. Though that might sound like a pipe dream, the technology that makes wireless charging possible is both well established and widely available. In fact, its basic principle—electromagnetic induction—goes all the way back to the work of scientist Michael Faraday in the 1830s. Induction takes advantage of the curious way in which magnetic and electric forces interact with other: A current running through a conducting wire creates a magnetic field around it, and a changing magnetic field that traverses a conductor will induce—hence the name—a current into it. Thus, if you take a charging station that runs electricity through a coil, thus converting it into a magnetic field, and then place it near a device equipped with a conducting transducer that performs the same operation in reverse, you can effectively transfer power from one point to the other without requiring any wires. Induction charging is already in widespread use, for example powering this Magic Charger from Mobee. To be fair, induction charging does have a few limitations. First of all, the transducer and charging station need to be fairly close to each other in order for enough power to flow from one to the other and charge a battery. Although some techniques allow for distances of up to two meters, most chargers only have a few inches’ worth of range. Wireless charging also tends to be less efficient than a cable, which would make charging slower, and also potentially a higher source of heat, as power is dissipated by the various components. Finally, the complexity of the various inductive components has the potential to increase the cost of a device, though it’s hard to say exactly by how much on a large scale. After all, a single Lightning cable—hardly a complicated piece of technology—will set you back anywhere between $20 and $35, indicating that price doesn’t necessarily follow cost. 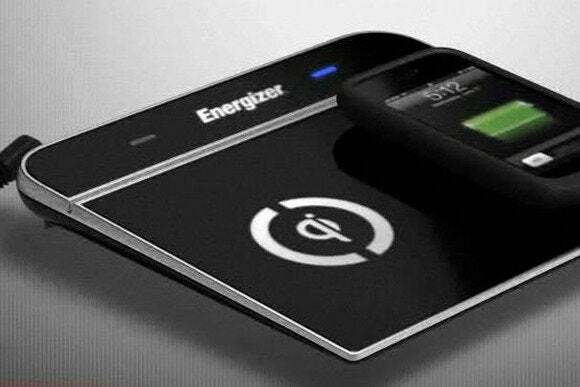 The fact that the electronics industry is starting to build standards around wireless chargers for mobile devices—such as this Qi base unit from Energizer—could mean that wires are, finally, on their way out. Still, these problems are not insurmountable. There’s no reason why Apple couldn’t continue providing a Lightning port on its devices while also supporting wireless charging—and offering a base station as an optional accessory that can be purchased separately. (Other smartphone models, including the late Palm Pre, have gone this route.) This would give those for whom inductive charging is an important feature an opportunity to invest in it, while providing everyone else with the proven backup of a Lightning cable. Perhaps the best indicator that the day of wireless charging may finally be near is the fact that the mobile industry is beginning to rally around it. For example, a number of Windows Phone and Android devices already support a charging technology known as Qi, and a competing standard called Power Matters Alliance, backed by Duracell, will soon begin installing charging stations at many Starbucks locations throughout North America. 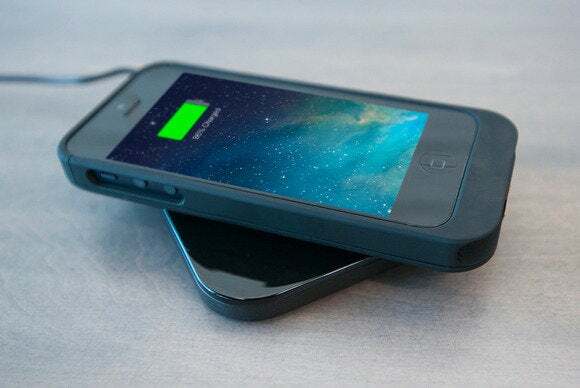 Third-party manufacturers already produce iPhone and iPad cases that are compatible with both these standards, which means that you can actually wirelessly charge your handset or tablet today. Compared to a built-in solution backed by Apple, these cases are bulky and inconvenient, but they certainly prove that a day without cables may be just around the corner—and maybe, just maybe, this will finally be the year my wish comes true.